If you follow me on Instagram then you will have seen these two products crop up in my routines multiple times and I am so excited to finally talk about them on here because I have been absolutely loving them lately and Aurelia have so much going on right now that I can’t wait to share with you. 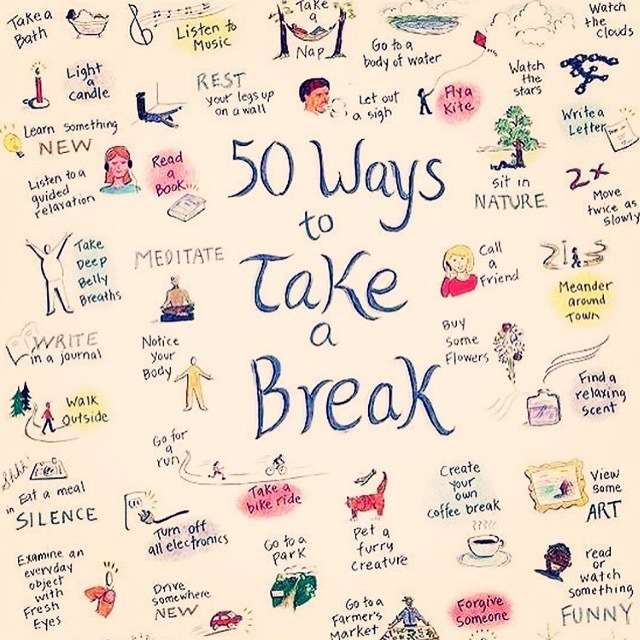 Plus, to highlight the important contribution the amazing founder Claire Vero and the entire team is making to promote wellness and self-care, I created a special “Self-care Sunday” routine and it was such a beautiful and relaxing yet simple moment in my busy day that I really hope you try it too. 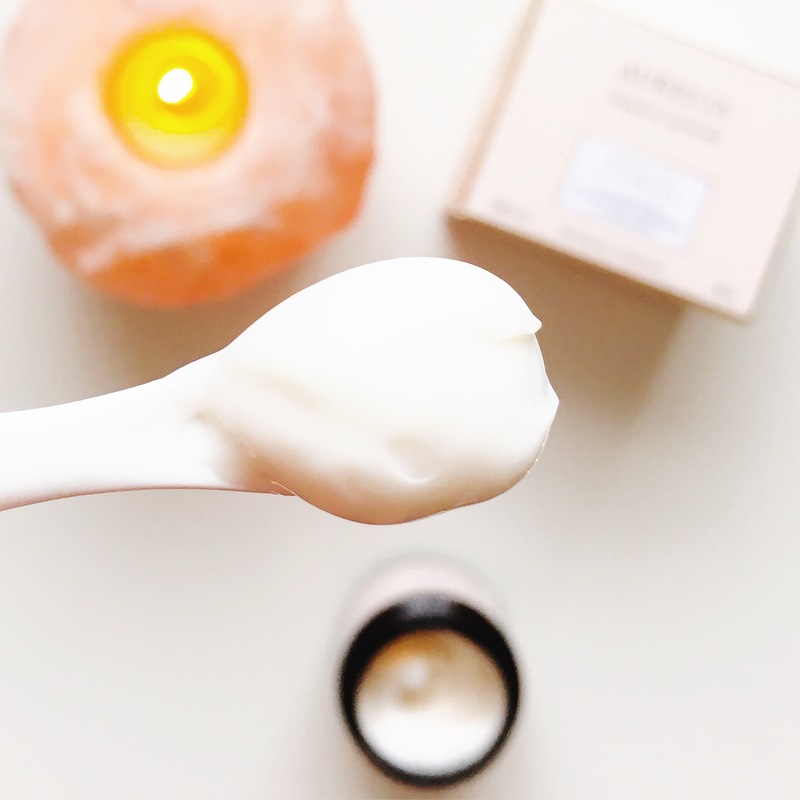 I was first introduced to Aurelia Probiotic Skincare a few years ago when I bought their brilliant Cell Revitalise Rose Mask on a whim and was blown away by how good it was. I went through that product in lightning speed and ever since then I have been so impressed with how the brand has worked hard to create products that not only improve skin health but also evoke a sense of wellbeing and look after the environment. Aurelia pride themselves in being “a mix of science and natural luxury” that never tests on animals, sources ethically and uses 100% recyclable bottles, paper and packaging. Not only that, the products themselves are of the highest ‘BioOrganic’ quality and are free from parabens, silicones, mineral oil, synthetic fragrances and colours and so much more (full list here). It is easy to see how Aurelia have managed to achieve a whopping 40 awards in 40 months and today I am going to review two of their best selling products. Ingredients: Aqua/Water (purified water), Dicapryly carbonate (coconut-derived cleanser & emollient), Cetearyl alcohol (vegetable based thickener), Glycerin (vegetable glycerine), Cocoglycerides (emollient from coconut oil), Butyrospermum parkii (shea butter), Glyceryl stearate (natural glycerides & thickener), Cetearyl glucoside (corn sugar emulsifier), Rhus verniciflua peel wax (berry wax), Theobroma cacoa (cocoa butter), Kigelia Africana fruit extract (Botanical Kigelia Africana ), Hibiscus sabdariffa flower extract (Hibiscus flower), Adansonia digitata fruit extract (Botanical Baobab), Lactose (probiotic bifidoculture milk extract), Lactis proteinum/Milk protein (probiotic protein), Bifida ferment lysate (probiotic culture), Schinziophyton Rautanenii kernel oil (Botanical Ubuntu Mongongo oil), Panthenol ( Pro-vitamin B5), Sodium ascorbyl phosphate (Vitamin C), Rosmarinus officinalis leaf oil (Rosemary essential oil), Citrus aurantium bergamia peel oil (Bergamot essential oil), Anthemis nobilis oil (Chamomile essential oil), Eucalyptus globulus leaf oil (Eucalyptus essential oil), Xanthan gum (natural based stabilizer), Sodium stearoyl glutamate (naturally derived emulsifier), Tocopheryl acetate (Vitamin E), Benzyl alcohol (preservative), Dehydroacetic acid (preservative), Citric acid (fruit derived pH regulator), Limonene*, Linalool* *naturally occurring in essential oil. 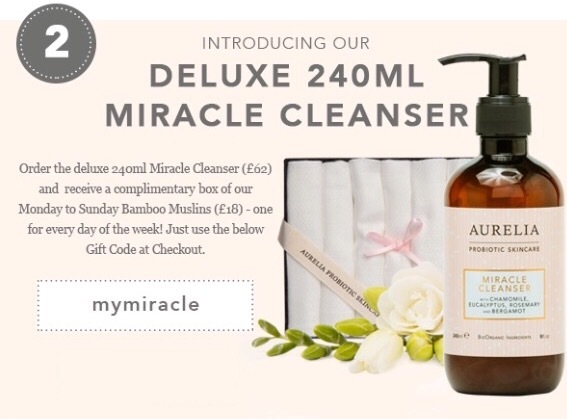 Usually when brands use words like “miracle” in their name or description, the product is anything but miraculous but with this cleanser, Aurelia are not far off the mark. This is easily one of the most beautiful cleansers I have ever used and the effect on my skin is immediate and noticeable. It is a cream cleanser that contains the brands signature BioOrganic Probiotics as well as Omega rich Baobab, anti-inflammatory Chamomile, decongesting Eucalyptus and regenerating Mongongo Oil. This cleanser is all about calming inflammation, creating balance and leaving the skin soft, smooth and hydrated. It has an incredible, intoxicating floral scent that makes the cleanser even more of a pleasure to use and I definitely look forward to it. The texture is very light, almost like a gel-cream moisturizer and it feels nice and cooling when first applied to the skin. It’s not at all heavy, is easy to move around the face and can be removed with or without the excellent Bamboo Muslin that comes with it. I like to use this as a second or morning cleanse and love how calm, balanced and smooth my skin is afterwards. For this “Self-care Sunday” routine I first used the cleanser to clean my face as usual before using it as a mask in my third step. Now, the Cell Revitalise Rose Mask would have obviously been perfect to use here but as I don’t currently have it, I wanted to show you how you can use what you do have in multiple ways to get the most out of every product. As a mask, this is beautiful – I left it on for 15 minutes and then gently removed it with warm water for an enhanced version of the results I get from cleansing (think more radiance and even more smoothness). This is the first cream cleanser I have been able to use successfully and one I would recommend to everyone. It’s perfect for those with sensitive skin because of it’s anti-inflammatory properties and for those with oily or dry skin it will create some much needed balance. Once, when my skin was particularly dry, my sister recommended using just water to remove it and I really liked the results from that. My skin was crazy soft and smooth and perfectly hydrated without any “film” or residue left behind, so if you have dry skin, try using the cleanser this way. Overall, the Miracle Cleanser is an outstanding product at a great price and my only teeny tiny issue with it is the jar packaging. Even though it looks beautiful in my bathroom, for hygienic reasons I really don’t like using my fingers to scoop the product out and would much prefer a pump bottle like with the beautiful new 240ml size (here) which is perfect – so much more hygienic and easier to use. Other than that, I would not hesitant to buy this again and again and I am so glad I have it in my cleansing arsenal. Ingredients: Prunus amygdalus dulcis oil (Sweet Almond oil), Cannabis sativa oil (Hemp oil), Triticum vulgare oil (Wheat germ oil), Olea europaea (Olive) fruit oil, Schinziophyton Rautanenii kernel oil (Mongongo oil), Citrullus lanatus seed oil (Kalahari Melonseed oil), Punica granatum seed oil (cold pressed Pomegranate oil), Adansonia Digitata (Baobab) Seed Oil, Kigelia Africana Fruit Extract, Helianthus Annus (Sunflower) Seed Oil, Hibiscus Sabdariffa Flower Extract, Citrus aurantium dulcis flower oil (sweet Orange oil), Citrus nobilis peel oil (Mandarin oil), Lavandula angustifolia oil (Lavender oil), Rosa damascena flower oil (Rosa Damascena oil), Tocopherol (Vitamin E), Tocopheryl acetate (Vitamin E), Limonene*, Linalool*, Citronellol*, Geraniol*, Hydroxycitronellal*, Citral* *naturally occurring in essential oil. Oils are one of my favourite skincare categories and this is one of the loveliest out of my current bunch. It contains an excellent array of skin loving oils like Hemp (so good for acne), Mongongo, Kalahari Melonseed and Baobab and the scent is an aromatic delight with a heavenly mix of neroli, lavender, rose and mandarin. It has a light-medium texture that glides on the skin and absorbs easily. It works to hydrate and soothe as well as prevent skin cell ageing and Aurelia recommend those with dry skin use it daily, while those with normal-combination skin use it three times a week and I can agree with that. It’s definitely more of a treatment than simply a moisturizing agent and I sometimes love to mix it with my La Belle Lune Organic Skin for an even more intense reparative treatment. For my “Self-care Sunday” routine I used this in two ways. First, after I had cleansed my skin using the Miracle Cleanser, I used the oil to give myself a 5 minute facial massage that felt incredible thanks to the beautiful texture and the wonderful scent. It was an indulgent and highly relaxing experience and I honestly could have gone on for a lot longer. Afterwards I removed it with the Bamboo Muslin and then used it again in my final step to lock in moisture, soothe and repair. I love what this oil does for my skin and have even used it during the day many times because it’s that good. Now, while this limited edition version is no different to the original Cell Repair Night Oil, the product has a very special purpose. It was created in collaboration with the incredible Caroline Hirons for the extremely important Eve Appeal, which is a British charity that focuses on better detection, prediction and ultimately prevention of women-only cancers. 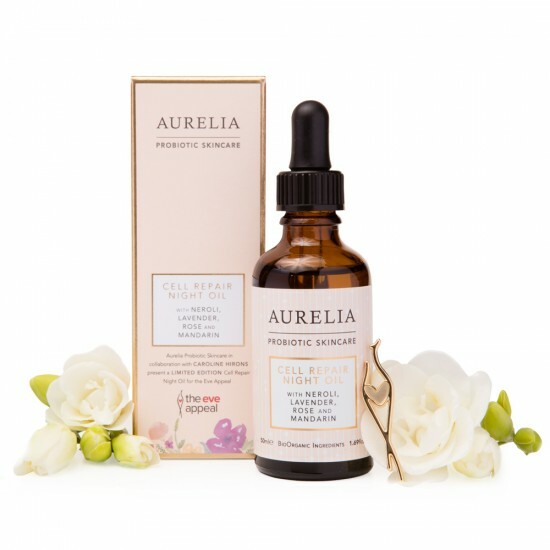 Aurelia is aiming to donate £20,000 to the charity’s FORECEE (4C) research programme (donate here) and if you were not lucky enough to receive a bottle of this beautiful oil in Caroline’s third Cult Beauty Box then now’s the time to try it because £10 from every bottle goes straight to the charity. It would also make the perfect Mother’s Day present and I gifted one to my (British) mum, aunt and cousin back in March and they all love it. 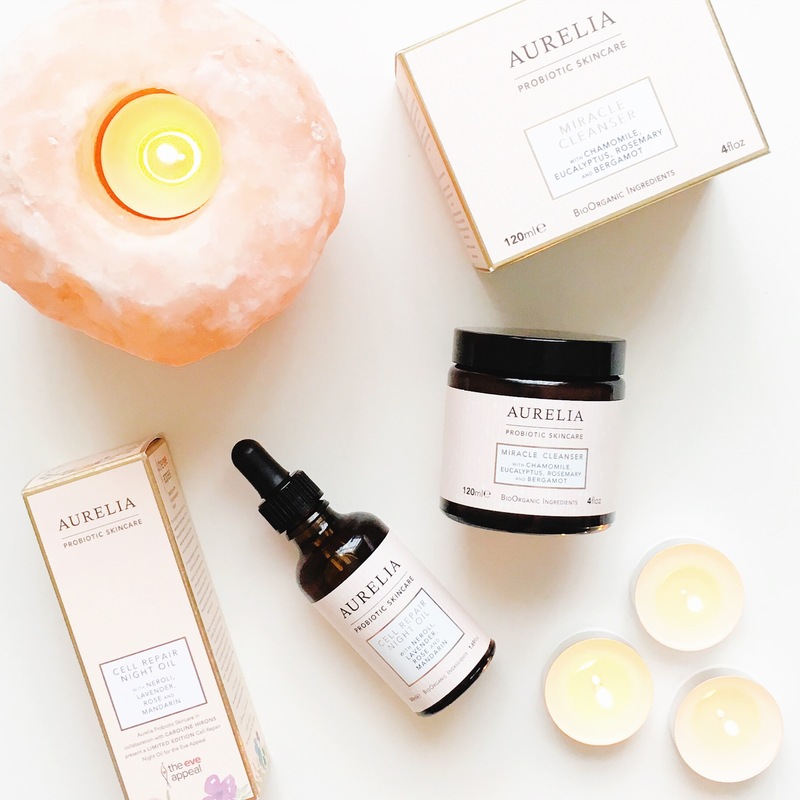 Aurelia completely embodies the idea of self-care (the above was posted to their Instagram a couple of days ago) – beyond just creating beautiful products, they are doing their part to make sure women can get the best help and care available to prevent illness and promote wellbeing and I am so grateful for everything they are doing. There is a huge connection between how good we feel and how well we are and one of the things I love about #SpaDay routines (other than an excuse to devote an entire day to using 10+ products on my face) is the time it allows me to take a break, relax and indulge in an activity that makes me feel good. Because of this, I decided to create an “Aurelia Self-care Sunday Routine” using just these two products in four easy steps because a good spa day routine can help reduce stress, boost your mood and improve mental wellbeing (all key for overall good health). You really don’t need multiple products to do this and I’m going to show you how you can double cleanse, mask and moisturize with these alone. Step 1: Cleanse as usual with the Miracle Cleanser to ensure you’re not massaging “dirt” around your face in step two. Remove with a warm muslin/wash cloth or warm water (depending on skin type). Step 2: Give yourself a therapeutic facial massage and oil cleanse by taking 3-5 drops of the Cell Repair Night Oil, spread in your palms and then cup your hands over your face and breathe in and out deeply 10 seconds. Next use your fingers and knuckles to give yourself a thorough massage for at least 5 minutes (Lisa Eldridge has a great video on it here). Take a warm muslin and gently hold it across your face for a few seconds before using it to remove the oil. Step 3: Apply a good amount of the Miracle Cleanser in an even layer across your entire face and leave on for about 15 minutes. Remove with warm water. Step 4: Smooth 3-5 drops of the Cell Repair Night Oil all over the face to complete the routine and that’s it – a simple, easy and luxurious spa day routine. 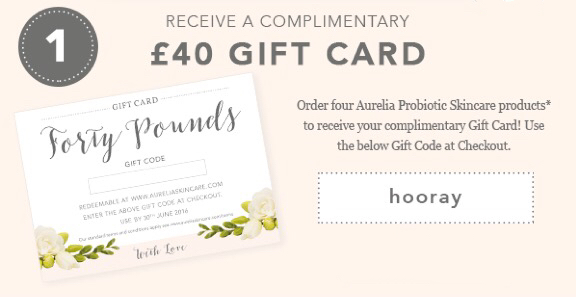 Aurelia Probiotic Skincare are just one of those special brands doing so much to promote wellbeing and selfcare and I love their commitment to provable results and luxurious yet ethical ingredients. While I highly recommend the Miracle Cleanser and Cell Repair Night Oil I don’t think you could go wrong with anything in their stunning lineup – I still think about that Cell Revitalise Rose Mask and absolutely love the sound of their new Aromatic Repair and Brighten Hand Cream, so definitely check those out, too. If you’ve been debating trying Aurelia now is the perfect time because they have three amazing offers (below) currently going on until April 30th. 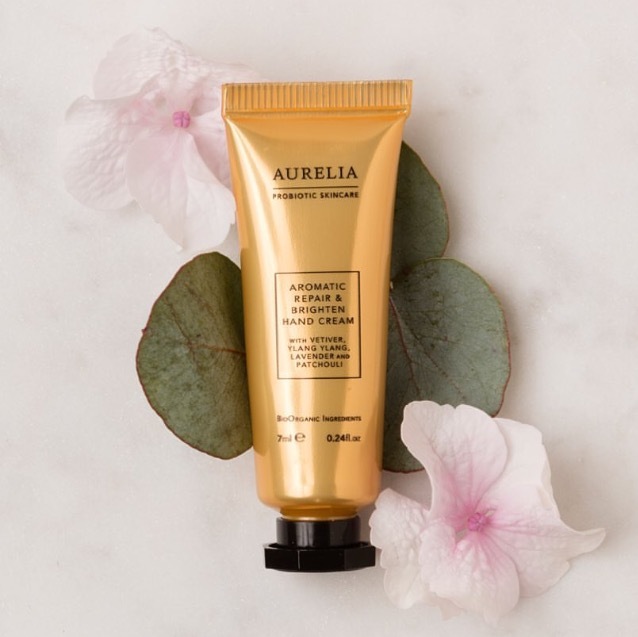 These offers are so good, it’s hard not to take advantage of both especially since in celebration of the Queen’s 90th birthday, Aurelia are very generously including a luxury sized mini of the new Hand Cream (below) with every order – so really, there’s no excuse! Aurelia is a must try brand and if they’ve been on your list, now’s your chance to take the plunge! P.S. – Aurelia have very kindly included their brilliant Monday to Sunday Bamboo Muslins in my giveaway with Content Beauty and Wellbeing so if you’re interested in winning them (and a lot more), head to my Instagram (here) now for the full details. < Previous Best of British: Imelda’s Skincare Routine and Giveaway!